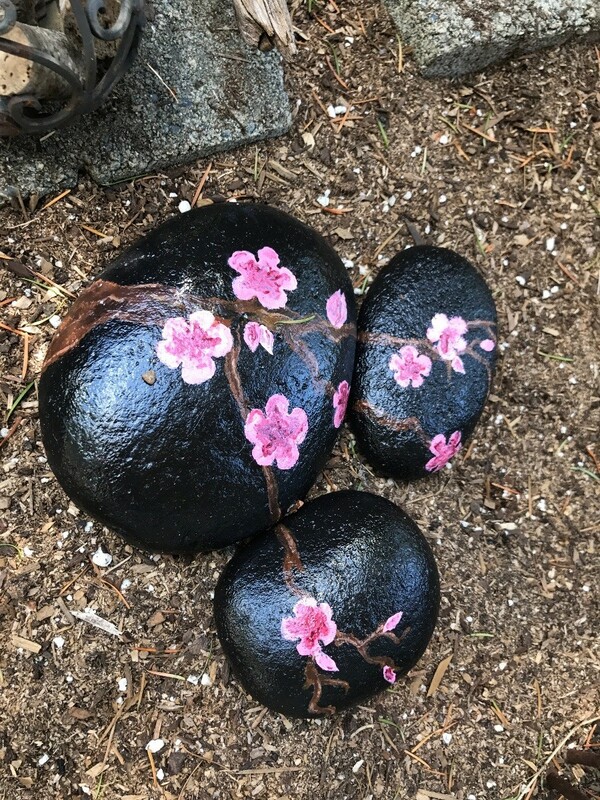 My son had to make painted rocks for a project in his high school art class this year. He chose to do a design that incorporated 3 rocks. I am in love with these cherry blossom rocks and am so glad that he let me display them in the yard! They are as cute as can be. Do protect them from the elements. He must be very talented to paint something that pretty! Great job!